The DN is the new standard in heavy metal rock guitar. As its "Darkstone" series name suggests, strong construction and smart body style combine for a powerful, clean sound. The Tight-Tune Bridge is sturdy and resonant, and the tailpiece comes equipped with the Ball-End Stopper for more lock-in on strings - both are features originally designed by Ibanez. 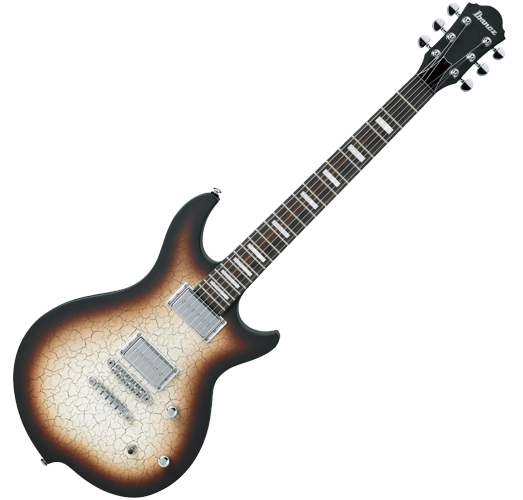 Ibanez Guitars, Schecter Guitars, Yamaha Guitars and Ashton Guitars! Beginner, Learner, Student or Professional Guitars.